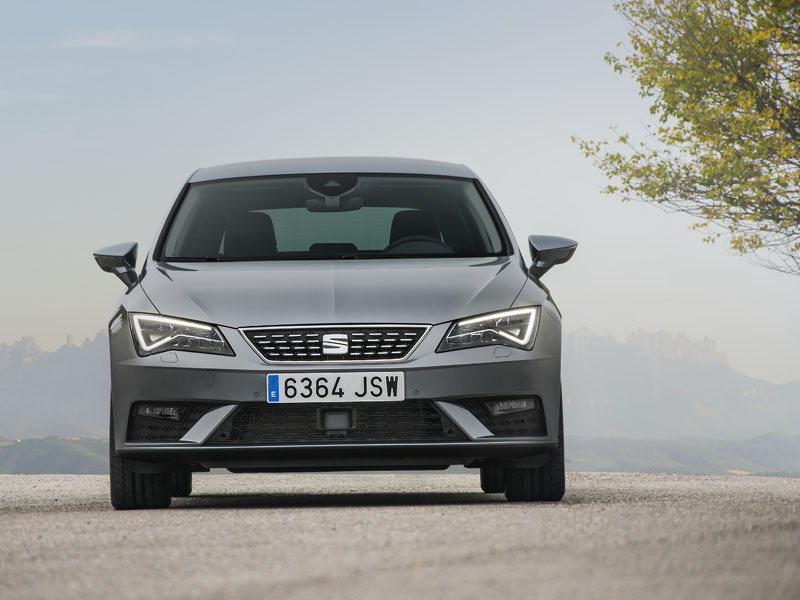 The next two weeks will see the international presentation of the New SEAT Leon in Barcelona. The new model brings a more elegant and dynamic design that fuses excitement and rationality, with the most advanced driver assist, multimedia and connectivity systems. New 1.6 TDI engine with 115 PS and new XCELLENCE trim. Martorell, 14/11/2016 - SEAT is continuing to roll out most impactful series of products in the brand’s history and, after the launch of its first ever SUV, the Ateca, it’s now time for a complete revamp of the SEAT Leon. Next year it will be the Ibiza’s turn, meaning in less than one year the Spanish brand will have completely overhauled its three key vehicles – the Ateca, the Ibiza and the Leon – while it’s also getting ready to launch the Arona. But that’s not all, because the new SEAT Leon is packed with new features, more tech and functionality. A clear extension of the technology exhibited by the recently launched Ateca. Some of the main new interior features are the electric hand brake and the keyless access and start system. The central console with its new design has a wireless mobile phone charger and 8’’ touch screen with all the latest connectivity technology and functionality. It also features the most advanced driver assist systems. As regards the vehicle’s mechanics, the main new feature is the 1.6TDI, 115 PS engine. The ST 2.0 TDI 150 PS 4Drive family version is now also available with automatic 7-speed DSG gears. The SEAT Leon now offers the new XCELLENCE trim, which includes exclusive design features and the most intelligent technology.